We provide quality, professional services for our clients, at a very reasonable cost. Our staff is committed to providing you with the highest level of customer service. Below is a listing of all of our services, why not put us to work for you? Consists of oral background verification and integrity interview. Testing limited to law enforcement and fire fighting personnel, governmental employees, and private security applicants. Testing limited to internal economic loss investigations. 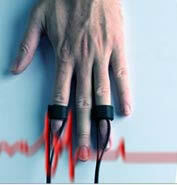 Strict Employee Polygraph Protection Act (E.P.P.A.) restrictions apply. Please call our office for additional information. A $150 non-refundable deposit is required at time appointment is scheduled. Assists private attorneys and public defenders with issue verifications. Fees are based on testing being conducted in our Lakewood, Colorado office. Fees include the cost of preparing written reports. Additional fees may apply to examinations conducted off-site and for court appearances.